Friends have sometimes asked me about how I came to decision to make a go at being a single Mom. For me it was a long time and a winding road coming to this point. I think I started thinking seriously about becoming a single mom in my late-thirties, I suppose relatively late, but then I’ve always been a bit of a late bloomer in life. Some have asked me why I waited. I never really thought about this time as “waiting.” I’ve never been one to be waiting around. I wasn’t “waiting” for a husband (I was pretty happy without one, actually). Sure, I might have been happy (and still would be—hint for any matchmakers out there!) to meet the man of my dreams, get married, have a baby, have that life. But that wasn’t where my life was and I wasn’t “waiting.” I was just living my life. My twenties and early thirties were a lot about school and finding myself professionally—deciding to going to grad school, getting my PhD, finding a job. Over the years, there was a lot going on in my family, and at my job, and I think I tended to focus on those responsibilities first, more perhaps than focusing at my own life. So, there I was, in my late thirties, when I really started thinking seriously about being a Mom, on my own. My way of handling challenges is to immerse myself in research and information, to try to figure it out rationally and logically (that’s the scientist in me!) 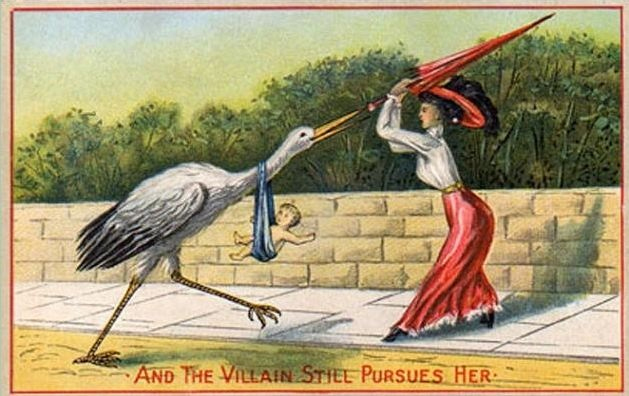 and pursuing motherhood, or as I liked to think about it at the time “the baby maybe question” was no different. I did a lot of reading (boy, did I do a lot of reading on this), joined some single mom groups, did some hard looking at my lifestyle and finances and how this might work. It was all very logical and deliberate. The thing about becoming a single mom this way was that it is really a very deliberate choice; not an accident, not something I negotiated with a partner, but an active choice. I thought a lot about this from the perspective of the child, and to be honest, at times, had some misgivings about bringing a child into a solo parenting situation, whether this would be fair to them. I had a great childhood and a wonderful Dad. Would it be fair to deprive a child of having a Dad? I grew up with a Mom and a Dad and to be honest, didn’t have many (any?) single parents in my life growing up, or at least single moms who had chosen to be single moms, as opposed divorce or losing a spouse. I read some more, talked some more, thought some more. I thought about the kind of Mom I would want to be, about how I would want to raise this child. There was a lot of “is this the right choice,” “should I do this,” and looking back maybe not enough “do I want to do this.” It was ultimately when I took a class/workshop called “Motherhood—Is it for me?” that I had my epiphany. The class brought together women from all sides for the question—single women, partnered women, ones who thought they might want kids and those who didn’t think so but were unsure or with partners who wanted kids. It was in that group, with that great group of women, all so brave and willing to share their personal lives in such an open way, that it dawned on me that this isn’t a choice that can be made by rational calculation, its one you feel in your heart. This isn’t about “should I” but “what do I feel, what’s in my heart” And when I let myself, I did feel the pull of motherhood and a child deeply in my heart. That epiphany opened up my thinking and I could see more clearly that in my heart of hearts, being a Mom, having a family, was always something I wanted for my life and I could see that I would be a great Mom for someone, someday. And I didn’t have to have all the logistics figured out to be confident that this was what I wanted and the right path for me. Yes of course, one needs to be rational and make sure that the resources are also in place, but when I could see that more objectively, I could see that I do have everything I need to be a great Mom. And so I decided to take the leap. Of course, being single and without a partner meant that once I had “decided” it’s not like I could just get out there and make a baby, so to speak. It took more time— loads more time—and a lot effort, to get me to the point of being here. It’s been a long road to get here and I suppose sometimes I wish I had rushed things along, but that wouldn’t be my story then. And I wouldn’t then be here now, finding my way to the baby who would be my child, however that comes to be.